Even if your organization only has two employees, you have a team situation. The best teams function at a high level because they have a strategy to work together and respect one another’s strengths. Organizational fads come and go but teambuilding will always remain as important to every business. The best teams have strong leadership, a well understood purpose, clearly defined roles, a system of accountability, open and honest communication, and healthy relationships that admit and resolve conflict. 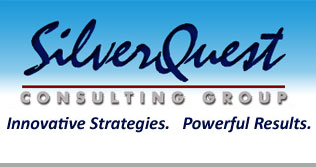 We at SilverQuest can help you form teams, re-structure your organization based on teams, or train team members how to work together. Create team roles and responsibilities related to team structure and effectiveness—leader, champion, project manager, contributor, etc.